Cleaner Notting Hill is a leading provider of professional end of tenancy and move out cleaning services in Notting Hill, W11. Call us for a quote! If you are about to leave your rented house or apartment, you will undoubtedly need to perform a thorough end of tenancy cleaning, otherwise your landlord might not want to give you your housing deposit back. Luckily, we are here to help you. Cleaner Notting Hill provides end of tenancy cleaning among an extensive list of other services all around London, Notting Hill included. If you book with us, you will be pleased to see that the place will be brought back to its pristine condition. For our customers’ convenience we have a round-the-clock support centre with competent and kind consultants answering the phones. So, feel free to call any time you need and they will give you detailed information about the service. 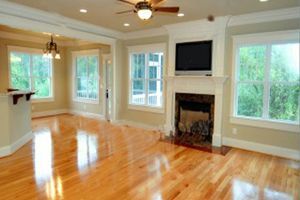 Dusting and polishing of all plastic, wood, glass surfaces, etc. These are only few of the things that our employees will take care of. You need to know that our company hires only skilled and well-trained people that come to us with excellent recommendations from previous employers. In addition, they have all been thoroughly vetted so as to ensure the safety of our customers. Our aim is to perform a first-class service and thus, help tenants receive their deposits back, as well as landlords to make their property more attractive to potential new occupants. If you think we are what you need, feel free to contact our support centre and book with us. We guarantee that you will be pleased with the quality of our work. Do not worry if you do not live in Notting Hill or anywhere nearby, we cover all addresses in London. Moreover our cleaners will arrive when you find it most convenient, even during the weekends or on bank holidays. Give yourself some time for packing and let us take care of the property. And the best thing is that we will do this at the most reasonable price that you will ever be offered.